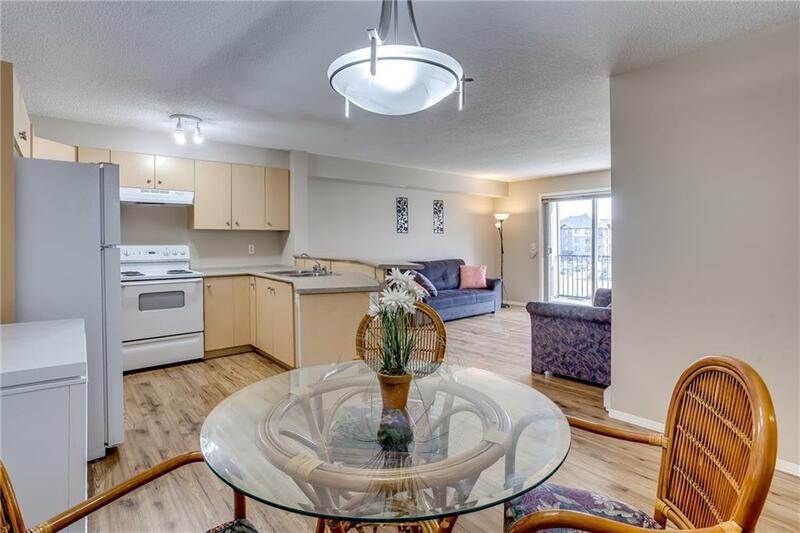 Maintenance-free living awaits in this top floor, end unit 2-bedroom condo in the prominent community of Panorama Hills. 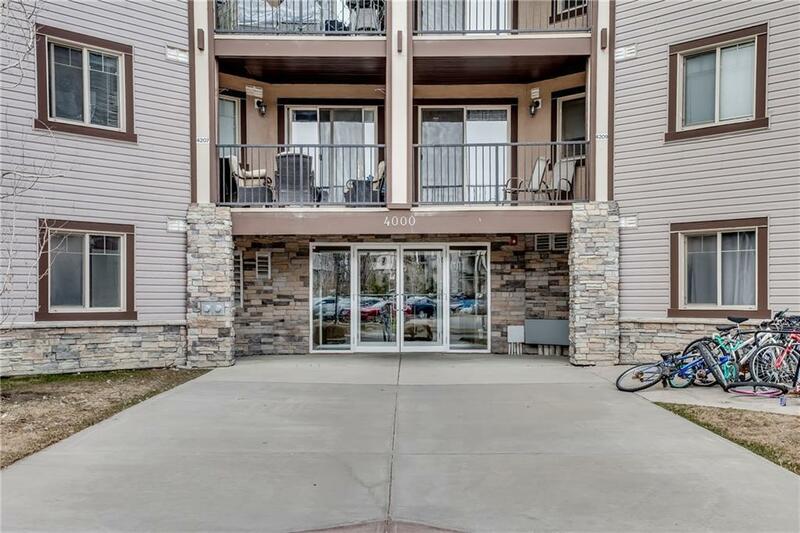 Take the elevator in this secure building directly to your door and enjoy the peace and quiet that the top floor has to offer. The open concept floor plan allows for a seamless interaction between living spaces, perfect for entertaining. The kitchen features an abundance of cabinets and counter space and a large peninsula island with breakfast bar. The comfortable living room is soaked with natural light and leads to the huge south facing balcony ideal for morning coffees and relaxing evenings. 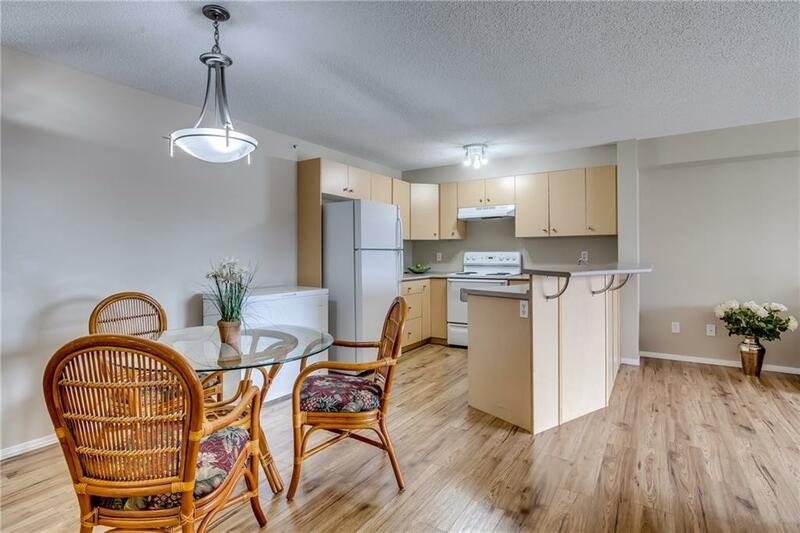 2 spacious bedrooms, full bath and in-suite laundry all add to your comfort. The community of Panorama Hills boasts an integrated open space system with connectivity to parks, playgrounds, schools, shopping, splash park, sports courts, ice rink and an extensive pathway system. 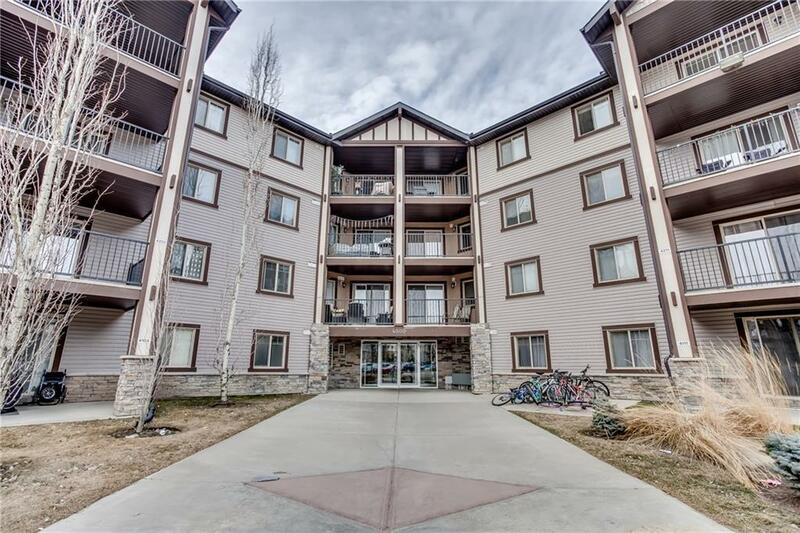 Truly a wonderful top floor condo in an outstanding community for any first-time buyer, downsizer or investor.